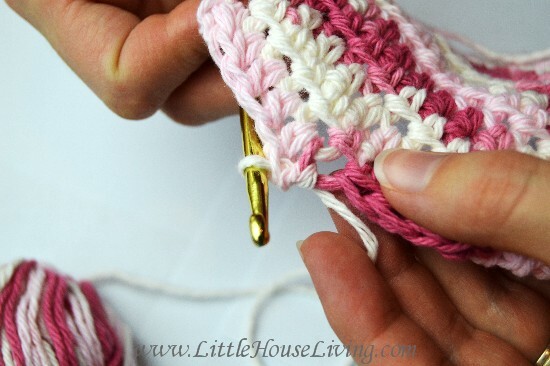 Learn how to crochet a dishcloth with this simple step-by-step tutorial. No fancy crochet patterns needed! Because you can never have too many beautiful, handmade dishcloths, right? 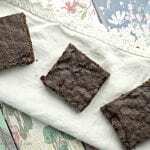 Learning how to crochet a dishcloth is an awesome and easy beginner crochet project for anyone who’s just getting started. Personally, I love crocheting dishcloths to pass the time in the winter when the days get dark soon and it’s too cold to do anything outside. I could keep busy for hours with nothing more than a crochet hook and a length of yarn! But just as I’ve never been good at following a pattern when it comes to sewing or crafting, the same is true when it comes to crocheting. So while I don’t have an exact pattern for you to follow here, I can show you what my fingers do when I’m making one of these handmade dishcloths, so then your fingers can do the same! 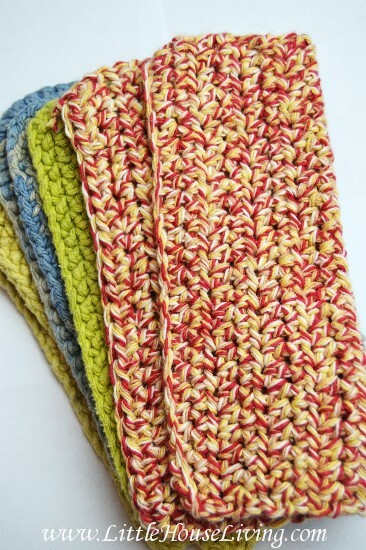 For this crocheted dishcloth, you’ll need to make sure to use 100% cotton yarn. This will hold up the best with all the heavy use this dishcloth will get. I like these little Sugar n Cream rolls of cotton yarn. They are inexpensive and you can find them at Walmart or any craft store. 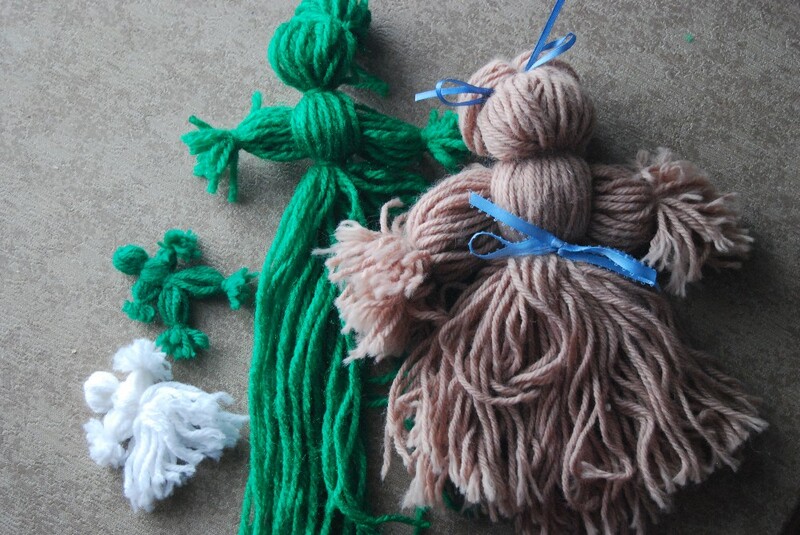 Start by tying a slipknot at the end of your yarn. You can cut the end off later, for now you will use it to hold onto while you complete the first row. 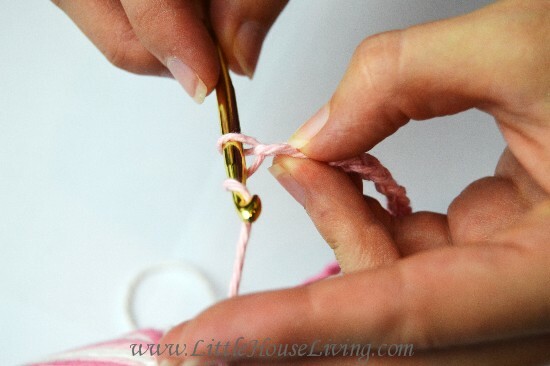 Start with a simple Chain Stitch. Basically, you’re making a braid with the yarn. If you aren’t sure how to do that I will show you below. I stitch 25 times for the first row. If you want your crocheted dishcloth to be larger you will need to do at least 30 – 35 stitches. I prefer my dishcloths to be small. 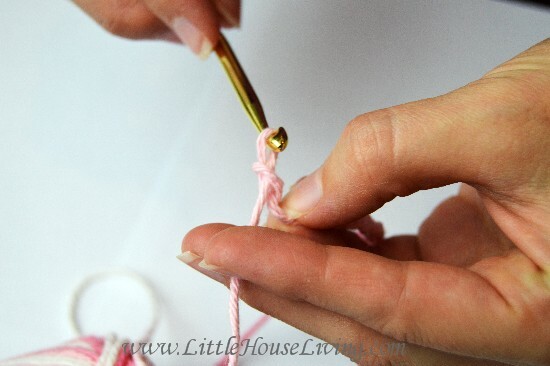 A chain stitch is as simple as taking your crochet hook, putting it through the loop, wrapping the end around another piece of yarn and pulling it back through your loop. Just like this. Do this 25 times for the first row. Moving on to the next row gets a little complicated, but it’s easy to get used to quickly. First, do an extra chain stitch (so you really make 26 chain stitches in the first row). Then bring your hook and put it through the top of the second to last loop on the chain (backwards from the direction you were just going). 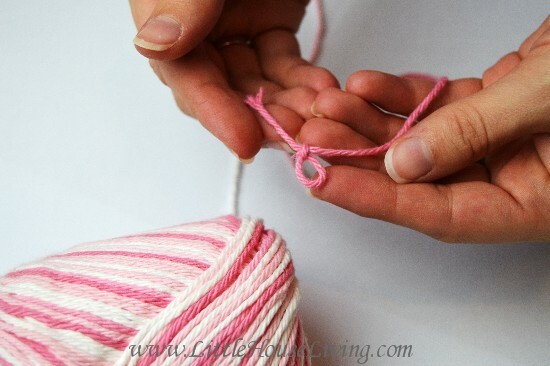 Once through that loop, grab the yarn and pull it through one loop (you should have 3 loops on your hook if you did this right). Your hook should look like this. 3 loops on it. 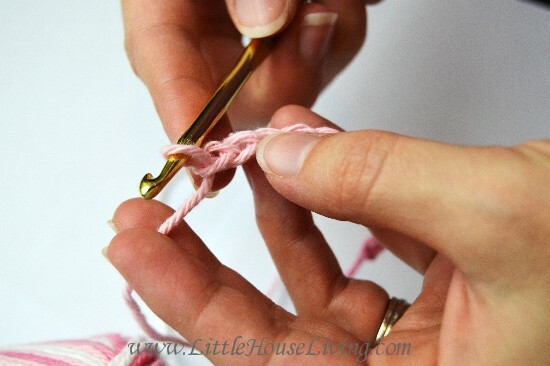 Then grab the yarn again with your hook and pull it all the way back through all 3 loops on your hook. Do not pull tight otherwise, it makes things the yarn harder to work with later on. What you just did is called a Half Double Crochet stitch, and you’ll be doing this throughout the rest of the dishcloth, although instead of going through the second to last loop and skipping a stitch like you did when you turned the corner, you will do every single loop as you go through the row, only skipping one loop as you turn the corner. 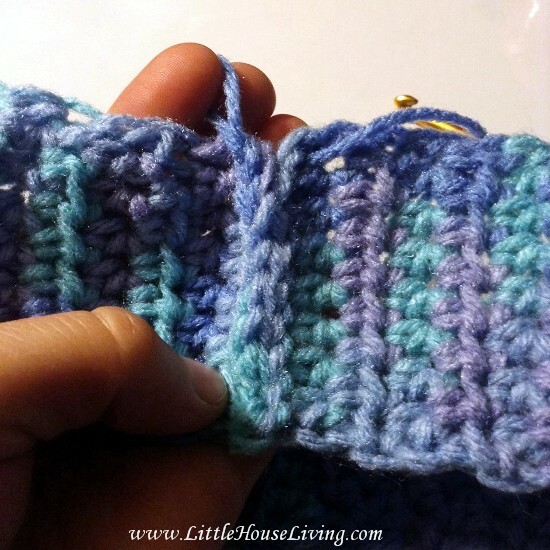 Don’t forget that each row you turn you need to make that extra chain stitch! Finish each row with one loop still left on your hook, ready to start the next row. You can keep crocheting rows and make the cloths as long as you like. There are no rules saying you need a perfect square! When you tie off at the end, simply finish the row and tie a knot. Cut any extra strings off the ends and you’re done. It really is as simple as that. It’s so much fun to make these in all kinds of bright and fun colors. 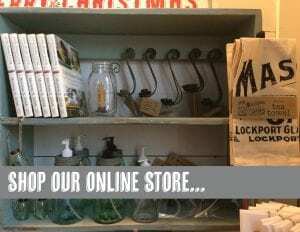 They make great gifts too, especially in baskets as housewarming gifts! You really never can have too many. To wash, simply toss them in with the rest of your laundry. And always make sure to ring the cloths out really well after using to avoid any musty smell. 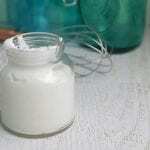 Oh, and don’t forget to make some Homemade Dish Soap to go with your handmade dishcloths. You’ll need it when all of your dishes begin to pile up because you’ve been too busy crocheting! Or just make a batch of Homemade Dishwasher Detergent and let your dishwasher do the work! How about you? Do you crochet? If so, what’s your favorite type of stitch or project to crochet? 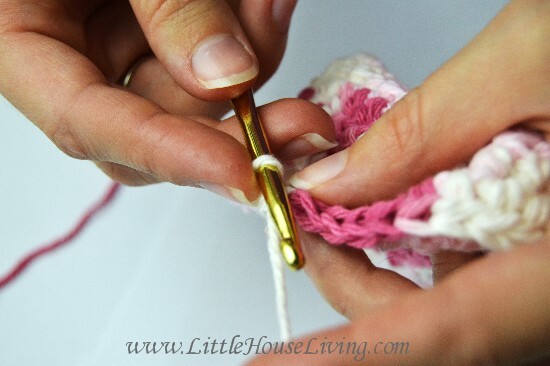 This blog post on How to Crochet a Dishcloth was originally published on Little House Living in February 2014. It has been updated as of March 2019. Thanks very much. That works much better for me. Cute dishcloths! I happen to have many rolls of that yarn. Thanks for the explanation Kerry. Loved this dishcloth, but was a wee bit confused. (I am new at crotchet and have taught myself using youtube video’s.) Now, I am starting a new dishcloth. Kerry thank you, I thought it was double crochet after first row, but guess I was half off. Or my crochet was half off, not sure about me. I wish you sold these…I love them!!! I love crocheted and knitted dish cloths. I use them all the time! I make mine a little larger, fold it in half. Stitch three sides, slip in a bar of my homemade soap, then stitch it closed. Works well in the shower. Instead of stitching it closed you could make a chain and weave it in so you can cinch it up after the soap is inside and then it’s reusable! I love your page!! I’m so glad I came across it. I love the dishcloths…my neighbor made me several and I’ve been wanting her to teach me…you make it look so simple!! Thank you again. 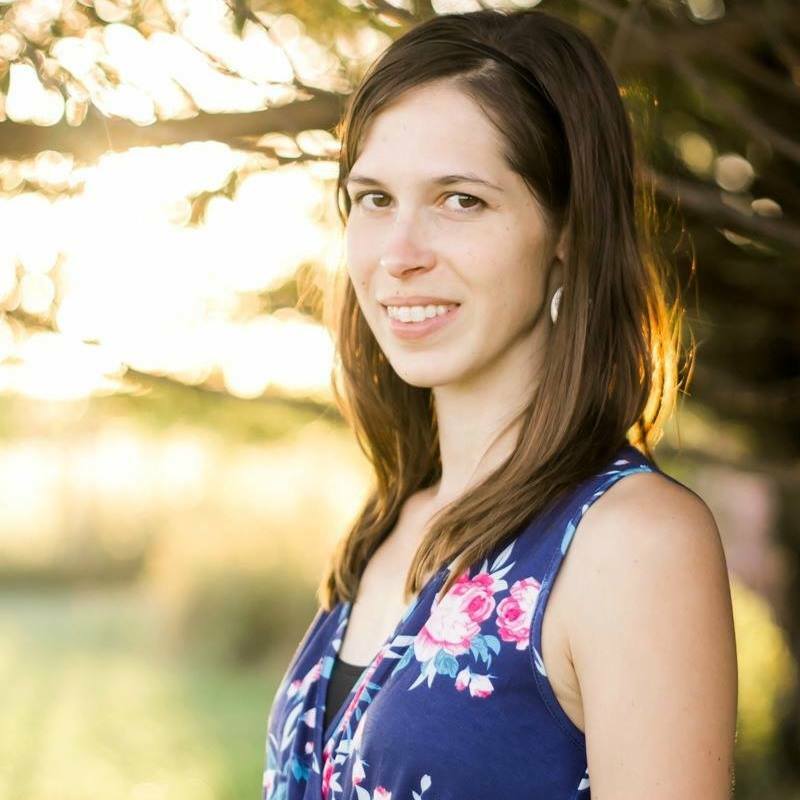 A little about me…I’m the mother of 5. I have 5 grandkids that keep me busy. We also have one on the way. I love cooking and baking, camping and reading to kids and helping students learn to read. I work in an elementary school library. I love the holidays and I’m always looking to learn new things. I would love to open up my own business someday. Yes have made them & sold some at craft show & given as presents!!!! I enjoy them they work up quick & make great housewarming gifts or just anytime gifts!!!! Do u have a pattern for a traingular shawl? Are these good to use washing dishes or just in the shower? Do you have anymore patterns? Not right now but I can work on it! I like to crochet mine using a standard granny square pattern. Sometimes I use 2 or 3 colors to match others kitchen color scheme. I’ve also made wash cloths using “plarn” in the center and then cotton yard for the rest of the cloth. The “plarn” makes for a “scrubber”. I’ve been wanting to learn how to do these for a long time. I always thought they were really hard. I’ve done afghans but I can’t do any designs, just the basic stitches. I know I can do this because it’s stitches I’m already familiar with! I have some yarn stored away that’s not enough for big projects. I’ll have to dig it out tomorrow and get started on these. Thanks so much for the instructions and pictures! I love knitted and crocheted washcloths. Don’t use anything else anymore. So glad to have found you. My Grandma used to make a small circle of black yard, go around a couple of times, then switch to red, and go around until you have added on about 4″ of red. Then finish with about an inch around of green. Fold it in half, sew it together, add little black dots of color in the red, and you have a hot pad that looks like a watermelon slice! Really easy to make. could this be done on a loom? Yes, that’s exactly what I do! There is one loop on the needle, wrap around, through the cloth, then wrapped again to pull through all 3 loops. How many dishcloths do you get from one of the Sugar & Cream skeins? Not sure if it is one full cloth per ball of yarn? Love these! I use the left over yarn to “mend” my cloths. Or when I have enough bits of yarn, I mix it up for a cloth that I keep. 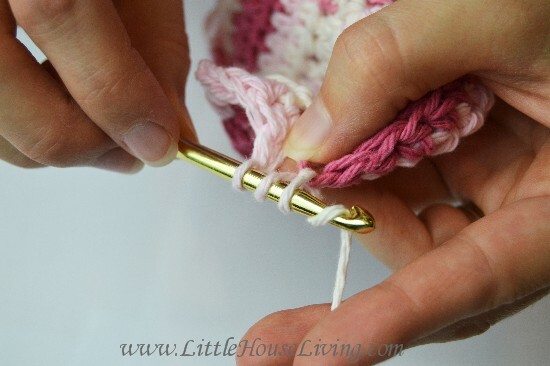 The stitch you are using to make these is called a half double crochet, not a double crochet. Otherwise your dishcloth is good. 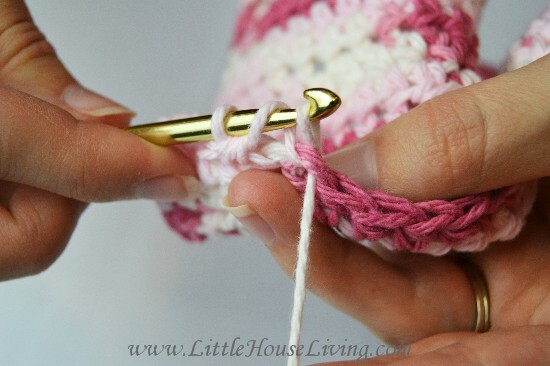 About.com has some really good crochet stitch information. Insert hook in the next stitch to be worked. Pull yarn through all 3 loops on hook (one half double crochet made). I treasure and use the dishcloths I’ve received from my aunt! Making cotton washcloths/dishcloths has been a healthy addiction of mine for a long time. I retaught myself how to knit and crochet four years ago, and I have been making them ever since! I am pleased so many others are happy to revisit this old-timey craft that can fit into our busy lives. They are so soft and absorbent for bath, kitchen, or swiffer. Do you have a pattern for potholders? Not yet but I can work on one! Are these dishcloths too thick to wash inside of a glass? Mine was. I did a double crochet through the entire cloth. What do you think I did wrong or is the cloth just thick? It was fun and the cloth turn out very pretty,. They haven’t been when I’ve made them but I don’t have many small glasses either. Did you use the same yarn as I used above? I make and use both crocheted and knit cloths. I prefer the scrubbing power of the crocheted ones for the dishes and cleaning. The ones I knit have a smooth side and a bumpy side. Those I like to use as face cloths so I can simply wash (smooth side) or use for gentle exfoliation (bumpy side). Jackie, you inspired me to learn to crochet. I love being sustainable and reusable. And I’m also kind of dish cloth addict! 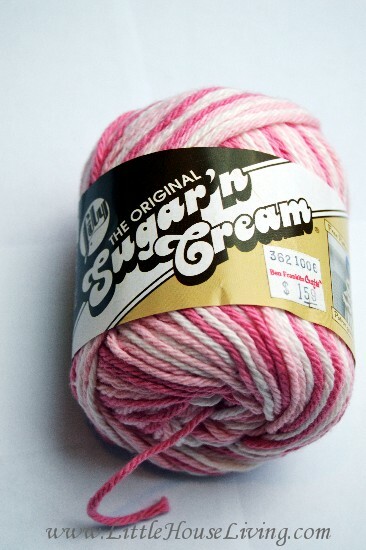 So I went out and bought a hook, and some sugar and cream yarn. I spent 2 days leaning to crochet, and now I’m ready to start the dish cloths. It’s such an easy pattern. Great for beginners, and totally usable! Thanks! I actually UNDERSTOOD this. Thank you–will be pinning and trying this. Thank you, thank you!! I think I can make my own now instead of waiting for others to make them and gift them to me! I have actually been making these the past week! I love them and such pretty colors too! Thanks for this instructional. I’m not really a crocheter, but I love this kind of dishcloth too, so I’m excited to give it a try. Do you think I could make these using something like t-shirt yarn? As long as it was 100% cotton? Probably, it would just have to be fairly thin or use a little bit larger crochet hook so it doesn’t get too tightly made. 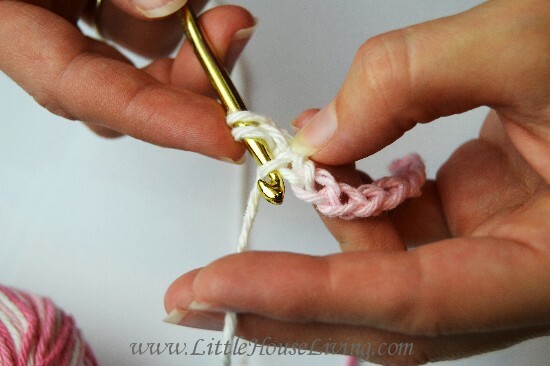 I’ve had some of these in the past and just love them, but I never really learned to crochet or knit, but this tutorial makes it look really easy! I’m really excited to give it a try. Quick question, tho — I looked at your store, and you have a set listed that one is ‘Country Kitchen’. I have looked on-line and was unable to locate that particular yarn name. Is that a discontinued color, because it looks like it would be the perfect color scheme for my kitchen. Thanks in advance and have a super weekend! Hi Wanda, I named the colors my own names 🙂 I will see if have any more of that particular color. I did buy a bunch from a store that went out of business so it’s possible that it is a discontinued color. It’s not a double crochet. .. you are doing a hdc.. Half double crochet. YW! I just knit my first dishcloth as a gift for my mother and I’m wondering why I never did it before. I may trying crocheting one if I feel adventurous enough. Thank you for putting the idea in my head! Love your blog and congratulations again on your new bundle of joy. God bless! I’m going to give it a try for sure. Love this! Will be trying this soon. How long does it take to make one dishcloth? It depends on how fast you can crochet 🙂 If I put my mind to it it’s about 2 hours or less. Well, I am new to crocheting. 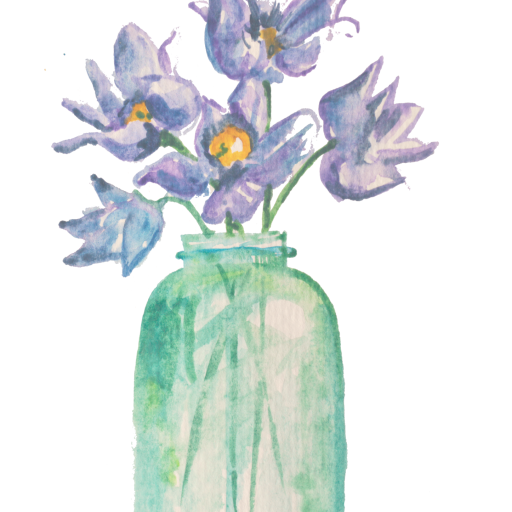 But I thought if i was able to get the hang of it, I might make them and sell them to raise money for Relay for Life this year. Always looking for ideas. Thank you for your response! Not using the “lingo” makes it easier, less intimidating, thanks! Do you know how to make the little cubbies that people make? I would love to make them but I don’t know how. I do reuse orange bags by braiding them together. But if I knew how to make them scrubies maybe I could still use the Orange bags, not sure! I knit mine and also use 25’stiches and make the cloth square. They keep smelling better longer!! 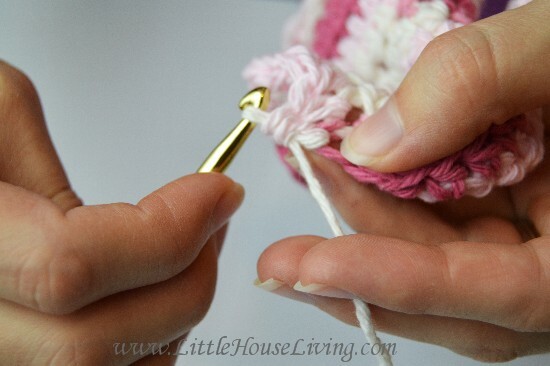 You forgot to include a yarn over before picking up first stitch….for a double half crochet. You described a single crochet. Thanks Merissa. I love the simplicity of this pattern. You don’t have to keep looking at the instructions. Thanks so much. How many washcloths do you make out of one skein of yarn? I can usually get one and a half. I have recently made some washcloths from this brand of cotton yarn, and when I washed a “trial” piece (before giving them as gifts or selling them) it got very stiff and rough when it came out of the dryer (and shrunk up a bit). I washed them in a regular hot water cycle and dried on medium. I know I should probably do a gentle cycle and low heat, but realistically — who wants to wash a towel/washcloth on a gentle cycle? How many people are going to want to do a special wash load just for a couple washcloths? Anyone else having this issue? Any suggestions for remedies…? Thank you! Hmmm, I haven’t had that trouble yet. I wash mine on a regular cycle (in cold water) and then dry on a normal dry cycle. They do get stiff if I hang them to dry. I could understand that! Thank you so much!